Hi I’am Lee North and one of the most respected and recommended plumbers in Gateshead and the North East. I’m a local time served Plumber and Heating Engineer. I carry out or oversee all of my work personally. I’m highly qualified and Gas Safe Registered. Most importantly of all I love my job, its a career path I have chosen and will continue to build my reputation in. Please check my reviews online or ask me for references of previous work. 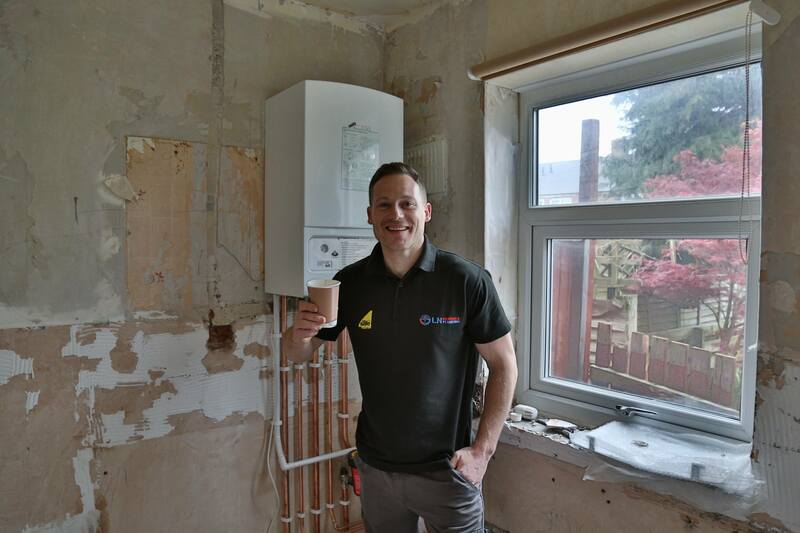 Boiler Installation requires skilled and Gas Safe qualified plumbers to do the job. LN Heating and Plumbing offers the best leagally complaint installations services that are worth every penny you pay. Sometimes, even if the job was done well, parts can fail. Also damage to the pipes or the drainage system can occur. That’s where my repair services come in. Give me a call I live in Gateshead and can normally be with you in 30 minutes in an emergency. Besides being able to deliver top quality workmanship, it’s our attention to customer service that helps us stand apart from other plumbing companies. We are available 24/7 a day or if you book an appointment we endeavor to make our visit fit into your schedule, this includes evening consultations. In short, I will turn up on time and diagnose what your problem is. I will then provide an accuarate quote and carry out the work to the same standard I would for my own home. A very similar process occurs when clients are looking for a company to install a new bathroom. We’ll arrange an appointment to listen to exactly what you need, we’ll sit down and explore different options, offer ideas you might not have considered, and price out the project to meet your budget and timeline. See some of our latest work and read testimonials from clients on our social media profiles .